Pitman Creek Wholesale sells only to retailers who have a permanent business location and stock the merchandise that we sell. Retailers should have a location separate from their residence, maintain regular business hours, and be open to the public. Pitman Creek Wholesale does not knowingly sell to individuals who operate out of their home or wish to purchase solely for their own use or for that of their friends. 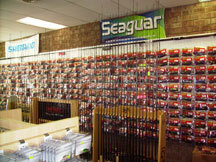 We endevor to protect the dealers who make their living selling retail sporting goods. Those desiring to become a dealer must complete the Dealer Application and provide a copy of your State Resale Certificate prior to the processing of your first order. We also require that you send a picture the outside of your store showing your store front with your sign and a picture of the inside of your store shows the cash register. The pictures can be mailed, emailed to info@pitmancreek.com , or sent via MMS/Text Message to info@pitmancreek.com. Please include your store name when sending the pictures. Established dealers with acceptable Trade References from sporting goods manufacturers/distributors are required to order a minimum of $750.00 for their opening order. New stores or dealers without acceptable Trade References from sporting goods manufacturers/distributors are required to place an opening order of $2,500.00 or more. Completion of the Dealer Application does not guarantee an account with Pitman Creek Wholesale. All orders for new Dealers will be sent E-Check, ACH (funds are withdrawn before the order is shipped), or Credit Card (if no eCheck form is provided) unless paid in advance with cash, or check. Open Terms are available to Dealers with approved credit. Assuming prompt response from your credit references and full completion of the application, it normally takes two weeks to have your credit approved. eCheck (autodraft) payment option is available to approved dealers. This payment option saves you time and is safer than a regular check, because a regular check can be intercepted or lost in the mail. When you use the eCheck option you are providing no more information than if you mailed the check. Pitman Creek Wholesale accepts select credit cards as a method of payment, however, credit card payments will reflect a 3.5% lost discount which is not available on credit card purchases. The discount rate is subject to change without notice. Any order shipped COD-CASH will be assessed the $14.00 UPS COD Fee. Credit Limits and Terms are subject to change based on changing credit worthiness. If an account becomes delinquent or has a returned check, future shipments will require pre-payment. All returned checks are assessed a $40.00 fee. All past due accounts are charged interest at 18% annum, 1 ½% per month. All invoices will become due immediately at the time of sale and any discounts will be forfeited if the business is sold or dissolved . UCCs may be filed at PCW’s discretion and are terminated only upon customer request. Accounts inactive for more than 6 months, or purchase less than $1,000.00 within the previous 12 months, will automatically be placed on inactive status. A new Dealer Application must be submitted for approval. All orders under $100.00 will be assessed a $10.00 handling charge. Please use Pitman Creek Wholesale stock numbers. Attempting to order without part numbers can cause unnecessary delays in processing your order. For fax orders; include your store name and city/state. We are glad to order items not listed in our catalog. Please call for order requirements and pricing. All Special Orders must have a cancellation date and be faxed or mailed to our Sales Department. Dealer pays all shipping and surcharges charged by the manufacturer. Dealer must have more than $10,000 in purchases within the previous 12 months to place Special Orders/Drop Shipments. All special orders are billed at catalog price. PRICE DISCLAIMER: Prices in our catalog are subject to change without notice. At Pitman Creek Wholesale, we do our best to ensure that there are no price discrepancies between our catalog and our website, however we are not liable in the event that this occurs. 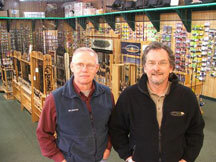 Please contact our Sales Department for large volume discounts on any item in our catalog. All orders are shipped via United Parcel Service (UPS). Actual freight charges will be added to the invoice on orders less than $750. Orders between $750 and $1,200 will receive free freight, but will be billed a single $12 oversize charge if any oversize item (rods, combos, or minnow buckets) is shipped. Orders over $1,200 will receive free freight and are not subject to the oversize charge. Items that are unavailable from the manufacturer or out of stock items that are not ordered in good faith will not be considered when determining the order total. All orders must be $5000 or greater. All orders are to be paid via wire transfer. Buyer pays freight on all orders. Unless instructed otherwise by our Sales Department, do not refuse a shipment (except damaged cartons), as this results in unnecessary freight and handling charges. A $20.00 or 20%, whichever is greater, restocking fee will be charged. This must be paid prior to the next shipment of merchandise to the Dealer. Pitman Creek Wholesale is not responsible for merchandise damaged in shipping. If you receive merchandise that is visibly damaged, refuse the carton/cartons with the damaged merchandise in accordance with the carrier’s policy. Save all shipping cartons with damaged merchandise until your claim is settled. Open and inspect damaged cartons from truck lines before the driver leaves. Notify our Sales Department that the shipment was damaged and refused and we will reship the order if possible. It is the Dealer’s responsibility to count and inspect all shipments. Shortages must be reported to our Sales Department immediately. All shortage claims after 5 days will not be honored. Request for proof of delivery must be made within 60 days of invoicing. After 60 days, the merchandise will be considered delivered complete. All products are scanned as they are picked and scanned again individually as they are packed for shipping. Each box is labeled outside with the Part ID and Qty of the products packed within it. When you need to return products, you must contact our Sales Department at 859-439-2001 to request a Return Authorization number and Confirmation Form. Please be ready to provide the invoice number, stock number of the item you wish to return, and the reason for the return. After confirmation from our Sales Staff, we will send you a RA Confirmation Form via email, fax, or by mail. This form must be placed in the box of goods you are returning as well as your RA number written on the outside of the box you are sending to us. Please note: Any returns received without an RA Confirmation Form or any returns received later than 10 days of the RA Confirmation Form being issued will be refused. Defective returns will be replaced with the same new product if possible; certain manufacturers require that the dealer returns the defective items directly to them. All returns of non-defective merchandise requested 7 days after the invoice date will be charged a 20% restocking fee. Non-defective returns must be in the original unmarked carton in new condition and without price stickers or it will be refused. Any returns received that do not comply with this policy will be refused.